How much do you pay for Batteries? Home > News > Random Thoughts > How much do you pay for Batteries? If everyone stopped to think how much they’ve spent on batteries over the years, they won’t be buying at the supermarket again! Not too long ago I was out with my friends and we had been in a supermarket. Upon leaving, one of my friends seen some AA batteries at the checkout and said “oh I need some of those, two packs for £5 great!”. Now I can forgive my friend for not knowing what would be a cheap price for batteries. What I cannot understand however, is that in a day and age where we are ordering and comparing grocery prices online (which are considerably cheaper) why are we not actually doing it with batteries? I know that supermarkets place batteries at the checkouts, usually on offer, so you make an impulse purchase, possibly even not needing them. As it turns out my friend only needed one pack, but because it’s usually only 2p more for the “offer” they don’t expect anyone to ever purchase only one pack. If my friend had made his way over to the battery section of the shop, he could have gotten one pack of batteries, which was all he needed, for considerably cheaper. Of course, no supermarket will never generally be as cheap as a specialist in anything. This same rule applies with batteries. So the next time you worry you could have saved £2 on your grocery shop elsewhere, why not stop and think just how much you could have saved on batteries over the years by simply knowing where to go! Currently at Cell Pack Solutions, we have excellent deals on all common battery sizes on our Online Shop. We have lots of customers who often order 10, 20 or even 50 at a time. They save a considerable amount of money on the same products and don’t get ripped off at the supermarket – everybody wins! 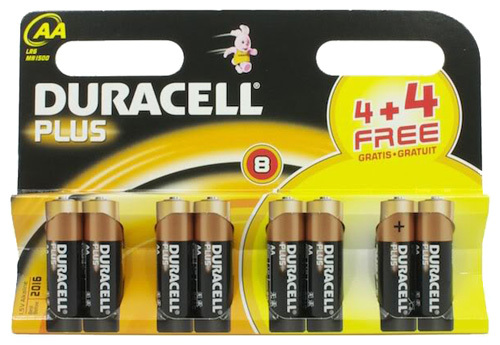 So, when will you start being a smart shopper when it comes to batteries? Are Graduates Being Sold Down the River?